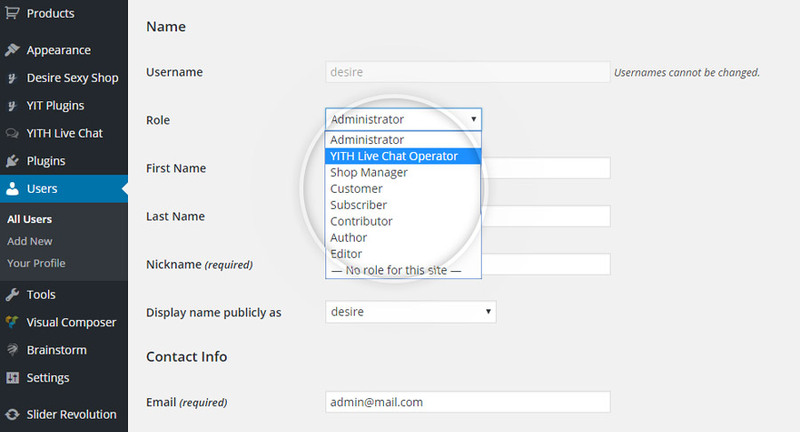 Create a new application, so that you can get the parameters required by the plugin. 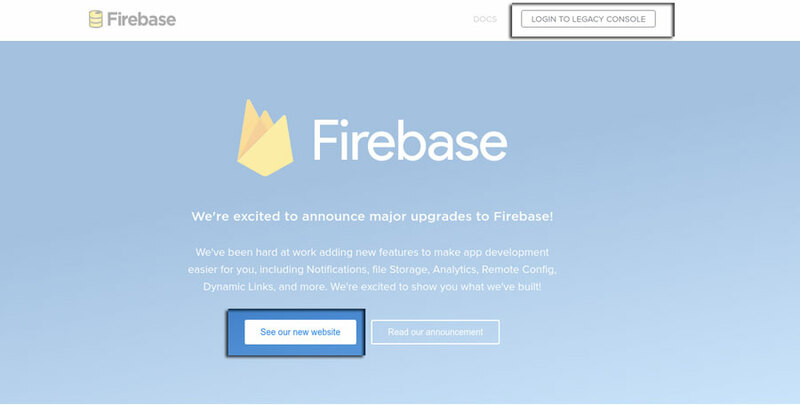 The procedure to create a new application changes depending on the new or old Firebase platform. Let’s analyze hot to do it in both cases. 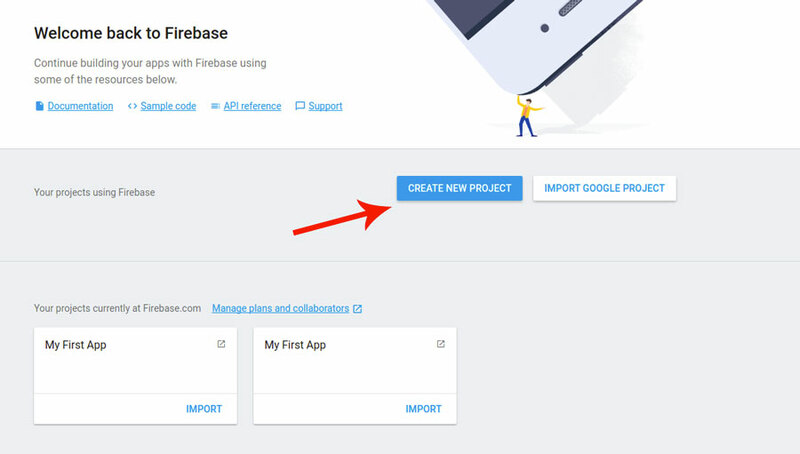 Go to https://console.firebase.google.com/ and click on the “Create new project” button. 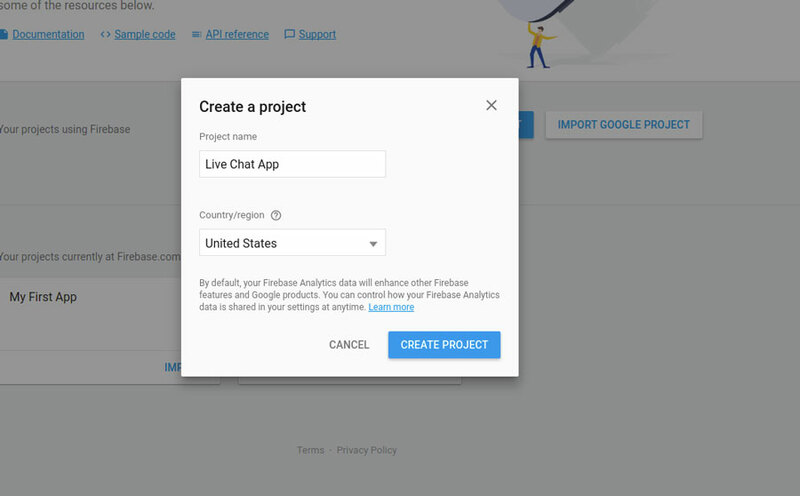 The required data are: application name and your company location. Region selection also sets the appropriate currency for your revenue reporting. 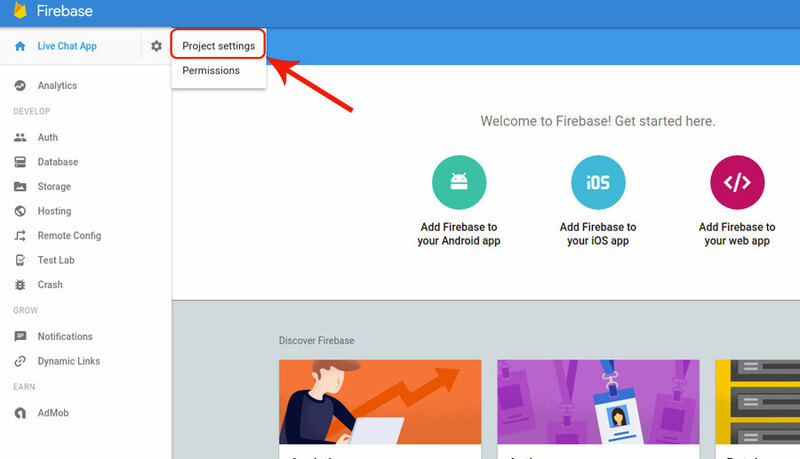 The selected country does not determine the location of your data for Firebase features. Google may process and store Customer Data anywhere Google or its agents maintain facilities. Now click on “Project Settings”, as highlighted in the image below. 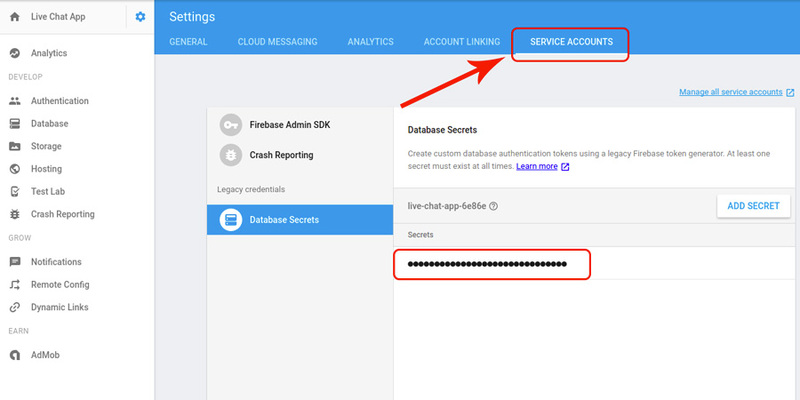 Log in to “Database” section to recover the credentials requested by the plugin. 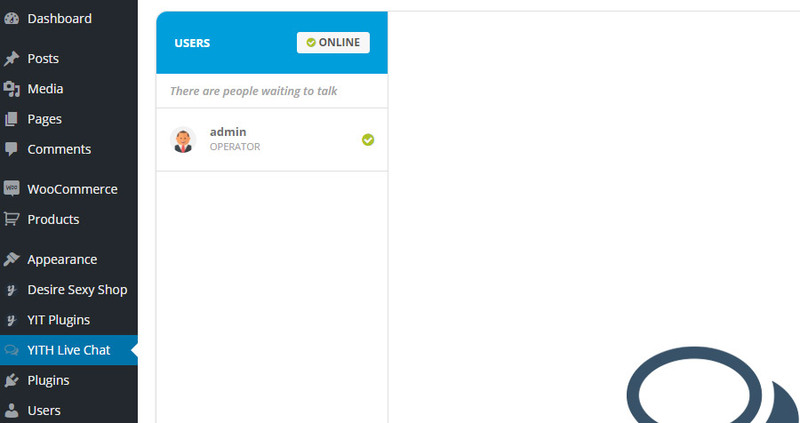 Besides site admin, every registered user can be enabled to access the chat console. The only condition is that their role has been set to “YITH Live Chat Operator”. 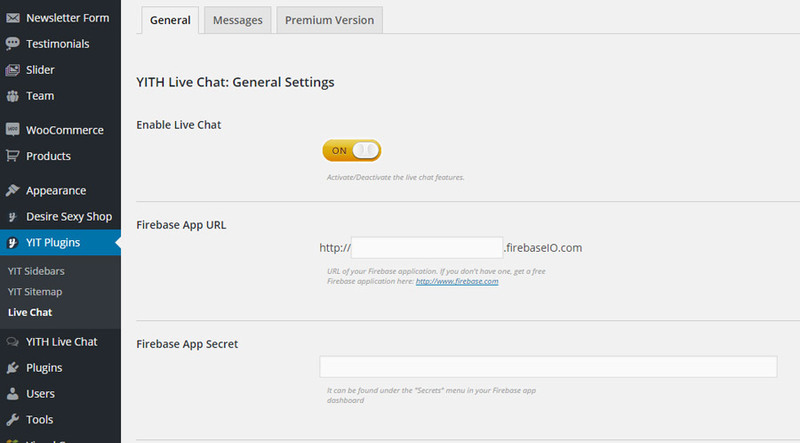 In the tab “Messages”, you can find the options to customize the messages showed to users. Chat Title: the title of the chat showed in the pages of your site. Welcome Message: the text showed in the chat login form. Starting Chat Message: the initial message showed when opening the chat. Closing Message: the text showed when the chat window is closed. Offline Message: the message showed when the operator is offline. Busy Message: the message showed to a new user when the maximum number of active chat conversations has been reached. 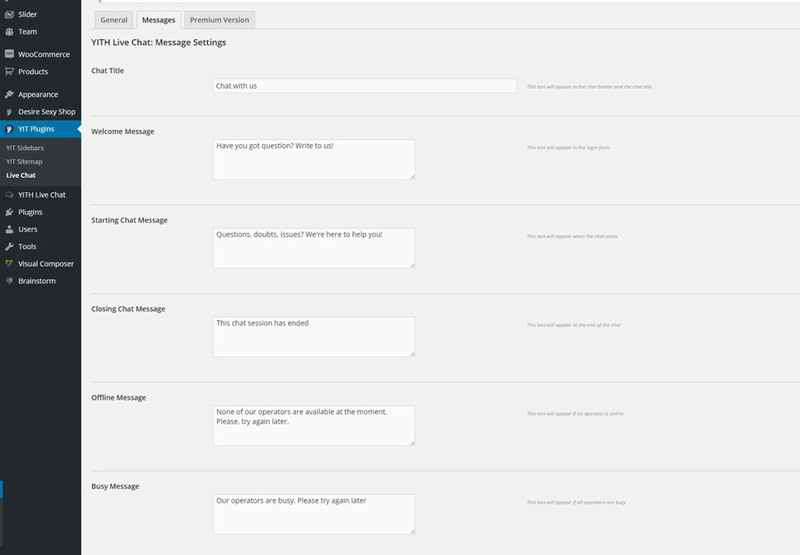 Please remember that the free version of the plugin can host no more than TWO active conversations, so the Busy message is shown to the third user. As soon as one of the active conversations ends, the login form will be available to your users again.